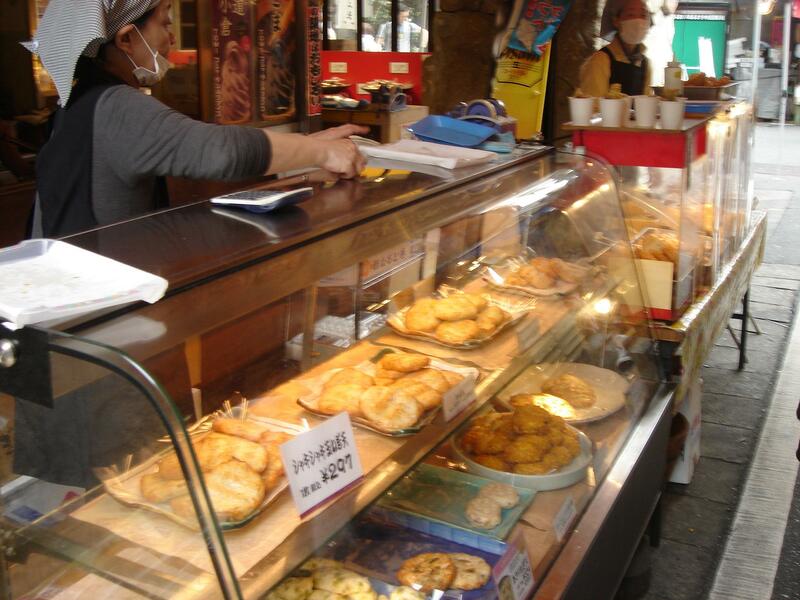 In Tsukiji Market, there are two areas: the outside market and the inside market. In the outside market, you can look around while you munch and sample some food. Because of the reason, they attract tourist all over the world. Let me introduce you AjinoHamato. They offer yummy deep-fried products. Why don’t you try them out. AjinoHamato is a fish specialist. They have been in business since 1925 in Tsukiji. AjinoHamato’s main branch has seating area. (Oshokujidokoro AjinoHamatou) However, most of their costumers are keen to purchase food to take away (like deep fried fish paste and sweet corn and soy beans) and walk around the market while munching food. 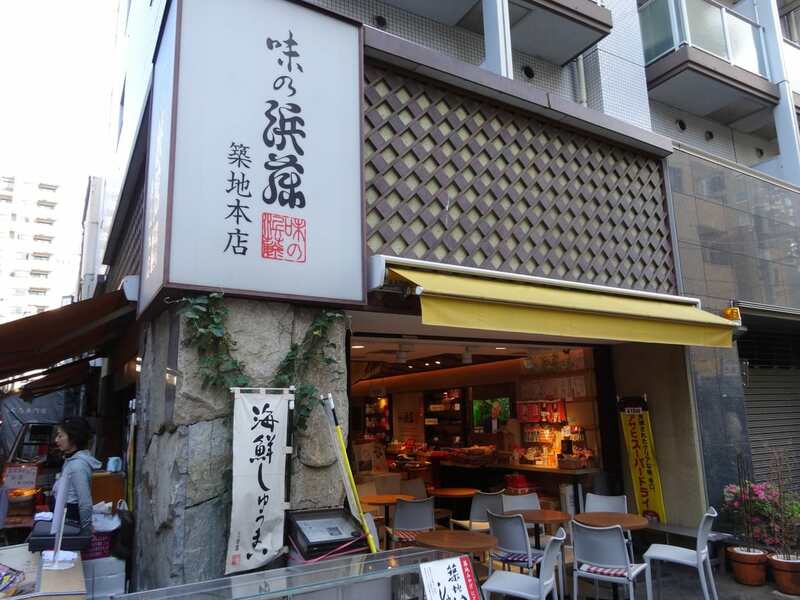 AjinoHamato is a popular take out food place in Tsukiji market. When you want to munch and walk around the market, must visit them. The most popular menu is Morokoshi Ahge. 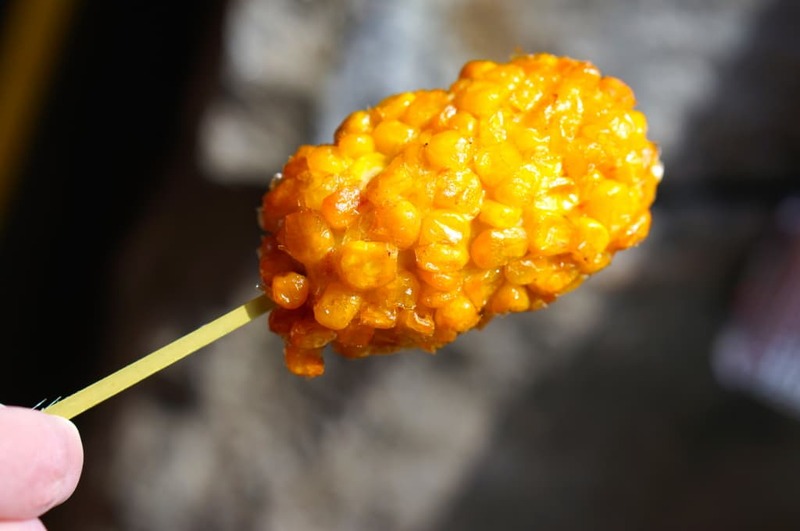 This is made of fish paste with sweet corn and they deep fried them. You would see lots of sweet corn in the fish paste which is the selling point. Another poplar menu is squid dumpling. 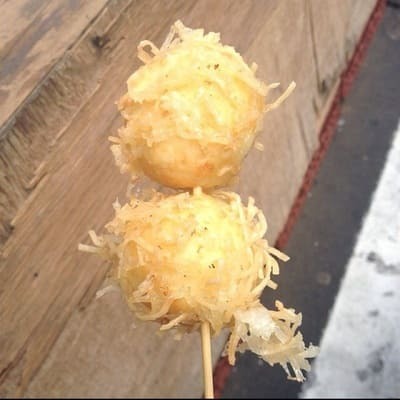 This deep-fried dumpling is made of wheat based dumpling skin with squid paste. The size is perfect to pop in your mouth. You would enjoy crispy dumpling skin texture, its very yummy!